Marketing campaign results are often limited by simply using too few communication channels. The method of communication that gathers the highest results will differ across the broad spectrum of people you’re connecting with. And it may differ even for the same person at different times, depending on mood, inclination, or even the weather. A first-class multichannel marketing strategy will not be limited to just one method of communication. 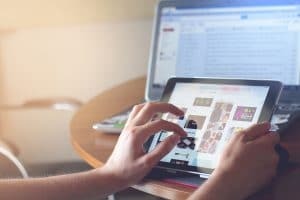 The campaigns that constantly have superior results are those that incorporate many of the techniques available, such as direct mail, email, text messaging, social medial, online advertising and even faxes. Direct Mail is the traditional method that beats spam blockers and ad filters. As it’s delivered directly into the home or office of your audience, the statistics support its continued dominance as a communication device. Direct mail is becoming a more popular communication device for many of our younger generations. For others, the best way to connect may be email, text messaging or social media. There’s even a segment who still prefer to receive a fax or a phone call. Each of these tools independently may do part of the job, but put them all together, in a seamless, coordinated drive, and you’ll see some outstanding results. In our modern world, relying on just a single channel of communication can really hamper marketing results. We’ll create your complex, multichannel direct marketing campaign with speed and ease. We’ll provide you your own portal to see the results in real-time, and set up automatic alerts that are triggered by interactions with your audience. Immediate response provides better user experience, and this drives greater results for your campaign. We provide the tools you need to succeed. INTEGRAM established ourselves as the leaders in quick turn-around communications over 25 years ago. It’s our mission to provide the highest level of service available and make sure your message is heard loud and clear.